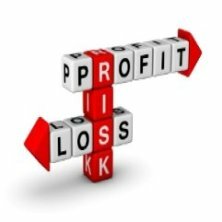 A profit and loss statement provides information on how the business is doing. Is it making a loss or is it making a profit? The information for this report is taken from the business bookkeeping records from a period of time, such as one month or a year, six months or one week. It can be for any time frame. This report is only as good and accurate as the data in the bookkeeping system. You can either click on the quick image links below for extra information, or scroll down to read about the basics. Click or tap the download for a free profit and loss template form in excel, that can be fully customized, and looks like the sample below (until you customize it!!). It is also known as the Statement of Financial Performance. 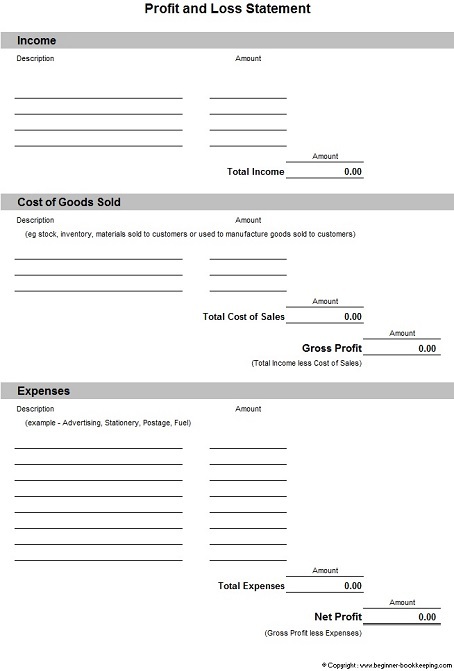 …..these details are included on another report - the Balance Sheet. 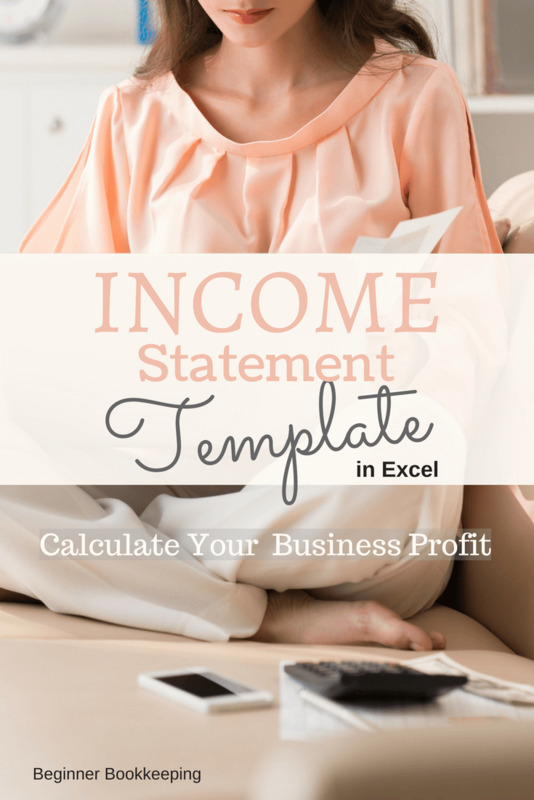 The profit and loss statement can be produced weekly, monthly, six monthly or annually, or even for one day! However, preparing this report once a month is the most recommended, and usual, time frame for keeping an eye on how the business is doing. It can be based on accrual figures or cash figures. This report is used for a number of purposes some of which are listed below. 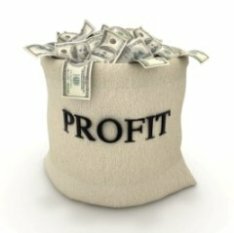 What is a Profit and Loss Report used for? If a net profit is earned, this figure will be used towards calculating the Income Tax payable to the government. This is done at the end of every financial year (every 12 months). If the year end result is a loss, there will usually be no income tax to pay because losses are tax deductible but they are not so good for the day to day running of the business as it means the cash flow will be tight and it will be difficult to cover expenses. If the business is applying for a financial loan, the loan provider (like a bank) will want to see the applicant's Profit and Loss Statement to analyze if loaning money to the business is a viable step. 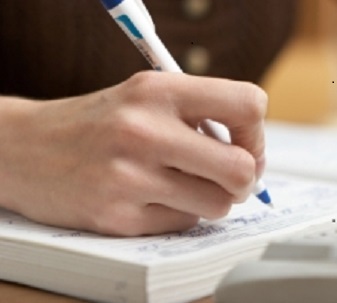 To help the bookkeeper pin-point if the business is recouping its cost of goods sold. i.e. is the business on-charging to customers all the direct costs it incurred to complete a job? To help business management work out ways of improving business operations such as where to cut down on expenses.